For smaller vehicles, a four-wheel alignment starts at around $50, and for larger vehicles, the cost can go up to $120. 4 Wheel drives and SUVs tend to be more expensive, as the adjustments that need to be carried out are more time consuming. Budget anywhere between $125 up to $150+, depending on your vehicle make and the adjustments required. One of the most misunderstood maintenance tasks is your vehicle's wheel alignment. Wheel alignments are crucial for safe driving performance and to prevent premature tyre wear. Manufacturers set the wheel alignment when the vehicle leaves the factory, but wear and tear, impact damage or tyres requiring replacement can greatly affect the alignment settings. It's recommended to have your wheel alignment checked every 10,000km or 6 months, whichever occurs first, to keep your vehicle tracking straight and true. 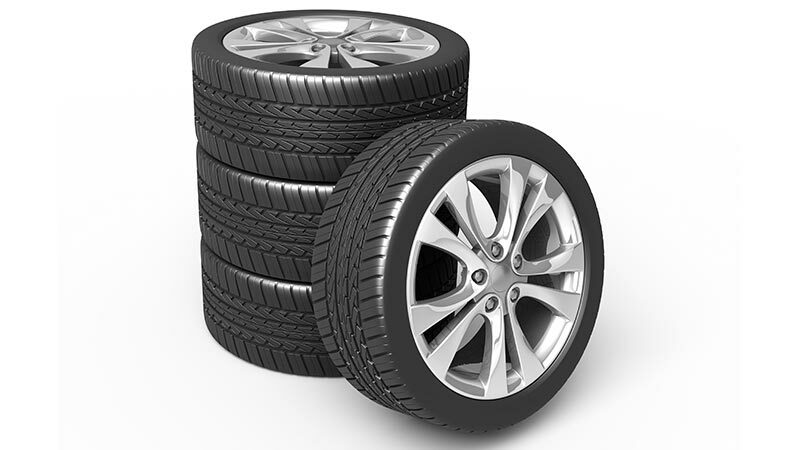 To better understand what a wheel alignment consists of, click here! A common misconception amongst motorists is that when a vehicle slightly pulls away from traffic over a few seconds, a wheel alignment is required. This is not always the case. Manufacturers set up the alignment with a slight pull away from traffic so if something happens to the driver, the vehicle will not move into oncoming traffic and cause a catastrophic accident. However, if the vehicle pulls to one side excessively - it may need to have the wheel alignment checked. If the vehicle is pulling to one side or the other violently, this could be an indication of a failed or excessively worn steering or suspension component and should be checked by a qualified mechanic as soon as possible. The steering wheel of your vehicle should always sit straight when driving down a flat road, with the emblem level and in the centre of the wheel. A steering wheel that is crooked or not centred is an indication of incorrect wheel alignment - usually a toe setting that is out. This can also be caused by worn steering components. If your vehicle feels like it's wandering all over the road, or feels unstable going around corners, it may require a wheel alignment or an inspection of suspension components for wear or damage. If your tyres are wearing excessively on the inner or outer edge, or have uneven wear across the tread face, the wheel alignment and tyre pressures need to be checked and adjusted as required. Our mechanics will inspect your vehicle's wheel alignment by test driving the vehicle, checking the tyres for uneven wear and quoting repairs or adjustment if necessary. Our mechanics will reset your vehicle back to factory specifications, inspect for any suspension wear or damage and road test the vehicle to ensure the repair has been carried out successfully. Incorrect wheel alignment can cause numerous drivability issues and cause premature wear on tyres and other suspension components. Any time the alignment is checked, suspension and steering components also need to be inspected to ensure there are no underlying issues. If you notice any of these symptoms, have your vehicle inspected by one of AutoGuru's 1600+ qualified, local mechanics – Too Easy! All data gathered in October 2016.